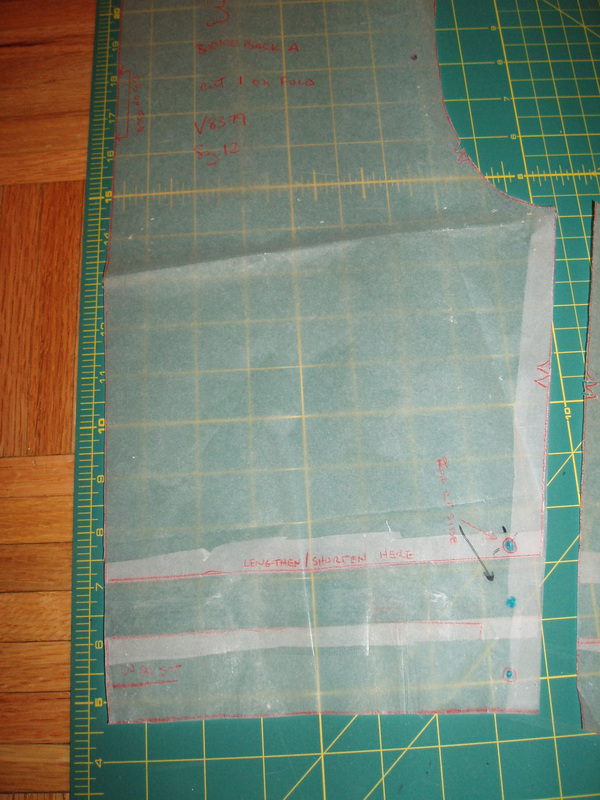 Step 1: Determine how much length you want to add to your bodice. 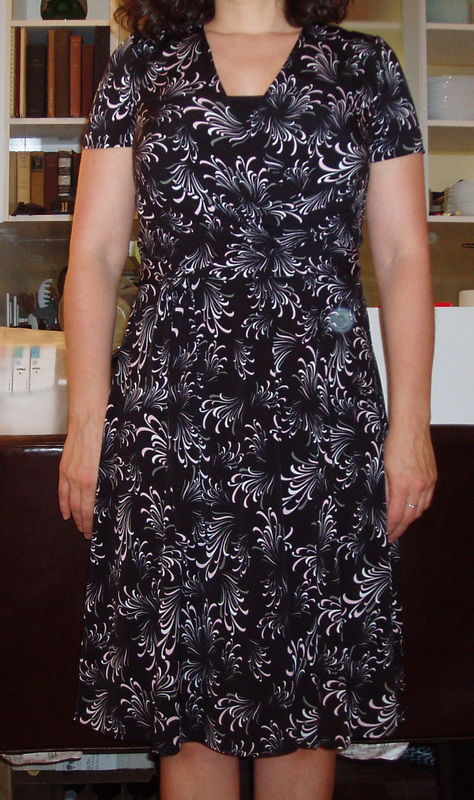 In the case of this Vogue 8379 wrap dress, I want to add 1 inch (in reality, now that I’ve made up this dress, I know I need to add at least 1-3/4 inches and maybe even 2, but I started taking the pictures before I realized that. 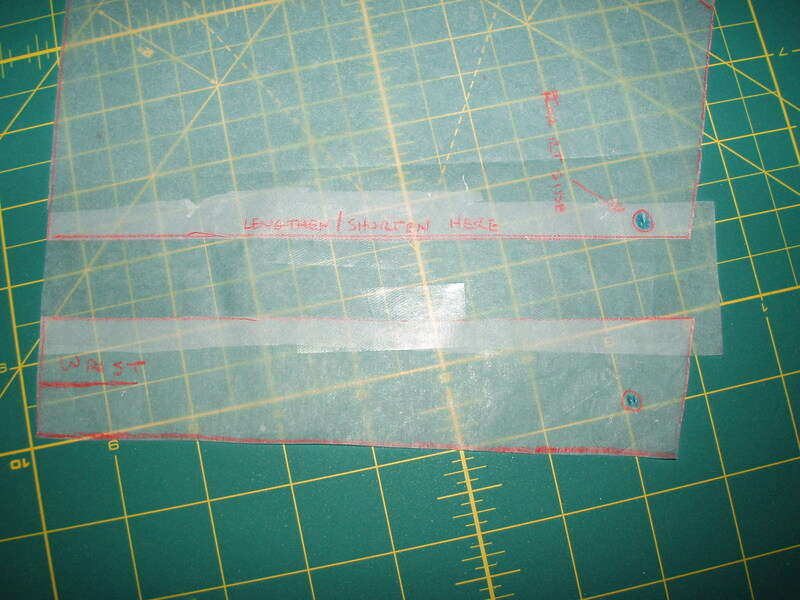 So this tutorial will depict a 1 inch lengthening alteration to the pattern). Here’s your lovely pattern unadulterated and unmolested. See how cute it is in its pristine state? Note the Shorten/Lengthen line in the bottom third of the bodice. 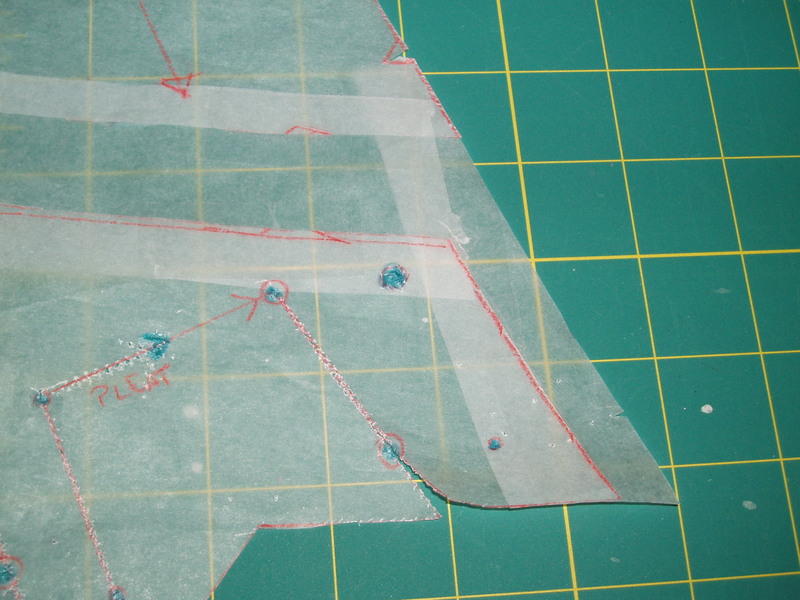 That is the place, dear friends (or dear self since I may be the only one in need of this tutorial), where you will cut your pattern piece apart. Now go ahead and cut. Ok, now here’s where the fun begins. Because why should it be all simple and easy? Noooooo. Let’s make it hard and complicated. All right, it’s not that hard and not that complicated. I don’t want to scare you off, but you should know that it’s definitely not a 1 or 2 step process. 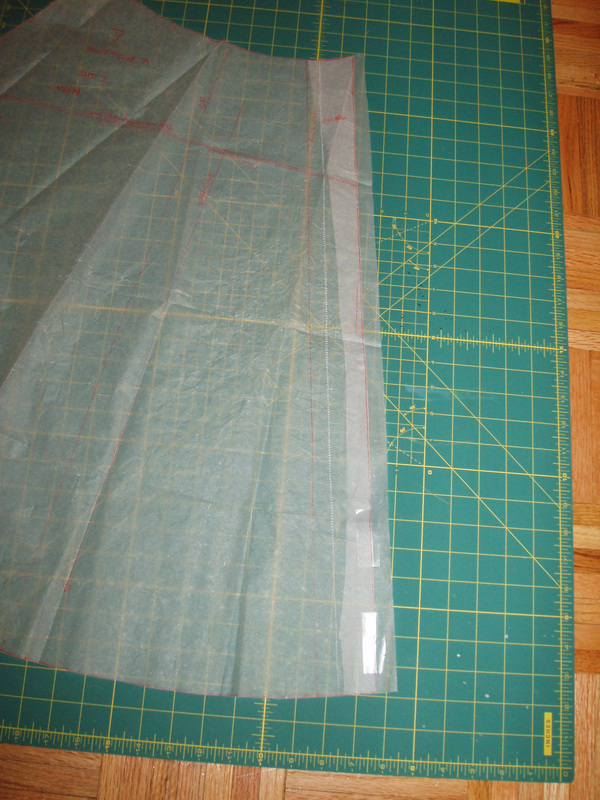 Step 2: Place tracing paper or equivalent behind your newly cut and separated bodice pattern pieces. 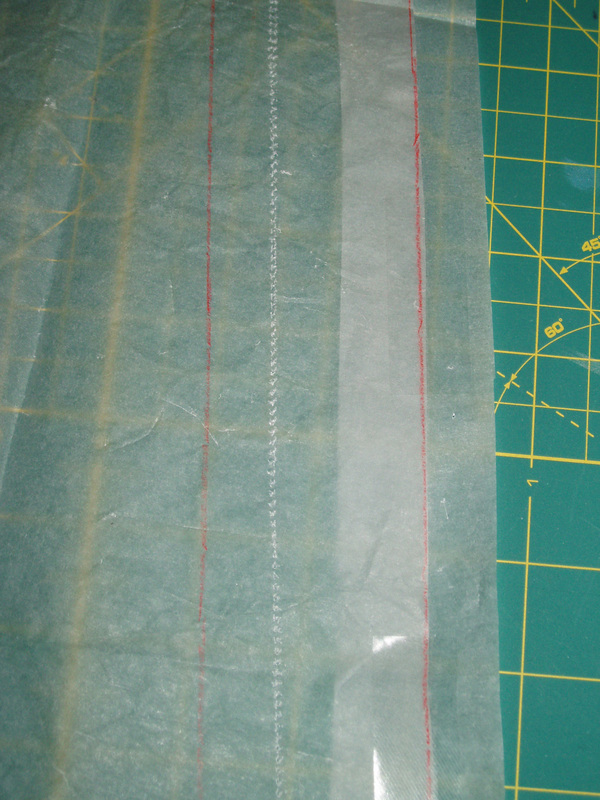 Position the pattern pieces so that they are 1 inch (or whatever your determined measurement is) apart and tape them to your added tracing paper. Are we done you ask? Surely you jest! Step 3: Now comes the really fun part! We need to connect the top portion of the pattern to the bottom portion. If this bodice was just a rectangle, we would just draw a vertical line joining the top to the bottom and we’d be all done. But this bodice is not just a rectangle. So we need to join the top and bottom without doglegging the side seams. Here’s my first attempt at dealing with the dogleg problem. I folded over the difference in width between the top and bottom on the bottom portion and then drew the lines in. Sounds simple enough. Even looks elegant. Is it right? NO! Why? Because you have just decreased the size of the waist of the bodice and now the bodice won’t be the same size as the skirt portion that attaches to that bodice portion. So what’s the correct method? We need to break out the ruler or any straight edge and blend the difference between the top and the bottom. 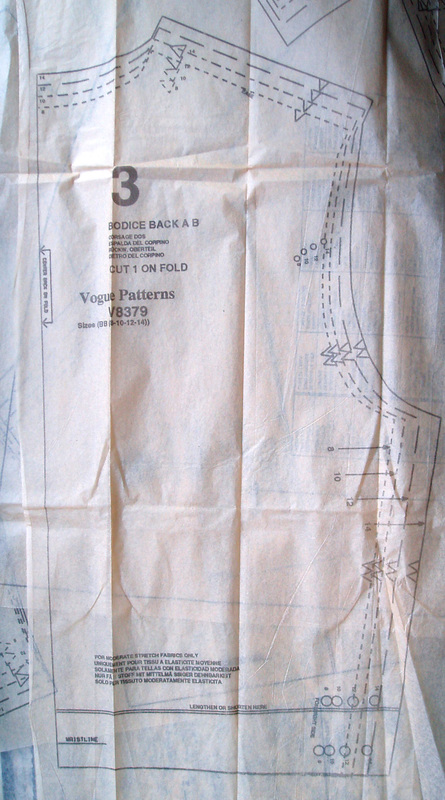 To do this, add another piece of tracing paper vertically from the bottom of the arm hole to the bottom of the pattern piece. 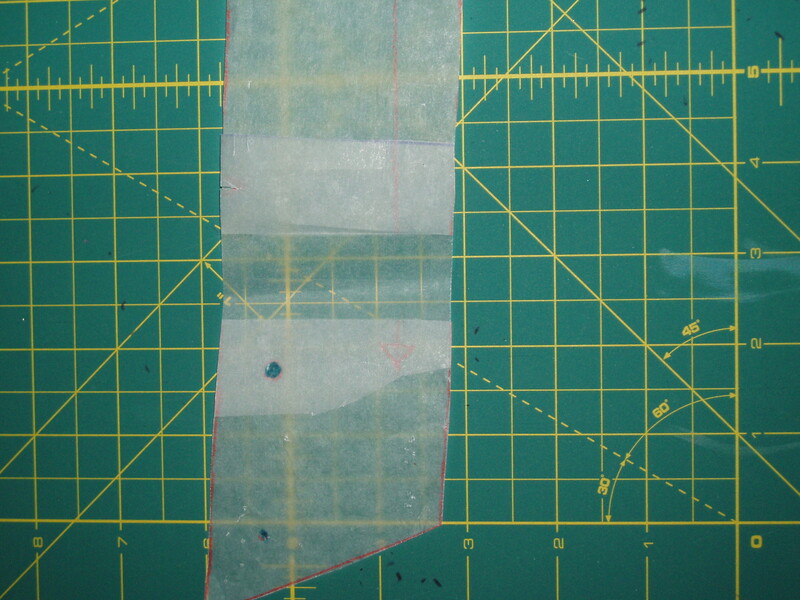 Now place the ruler/straight edge at the top of the side seam at the arm hole and then move the ruler so that it also meets the bottom of the waist. and draw a straight line from those two points. Now you’ve preserved the integrity of the waist size while increasing the length of the bodice. 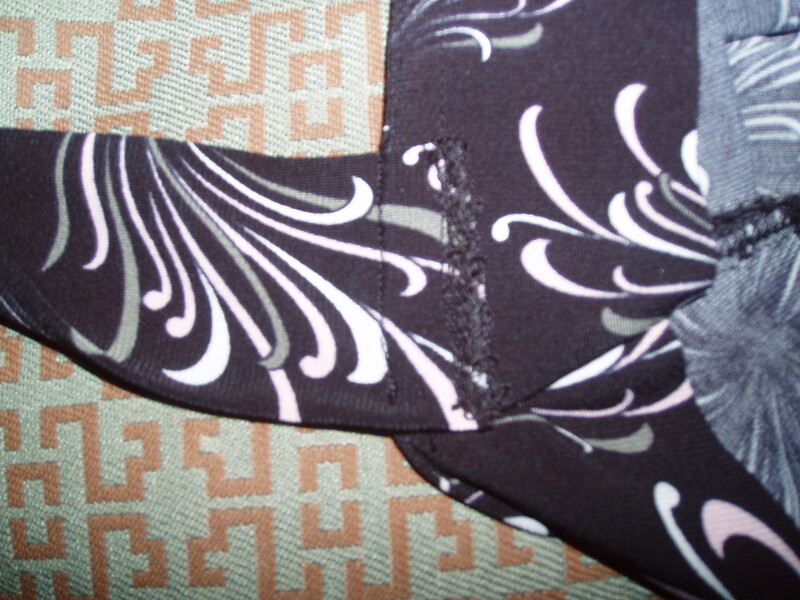 If you would be so kind to notice, my addition to the side seam is almost miniscule. 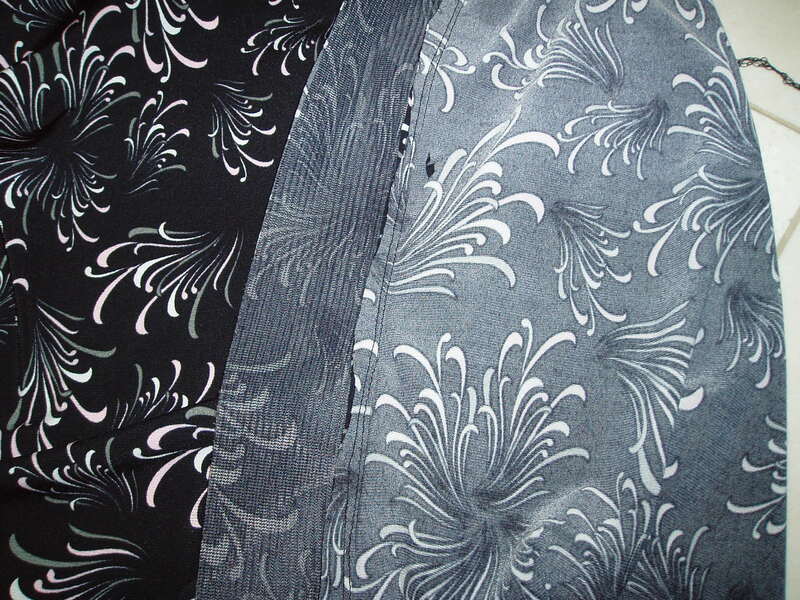 Step 4: If there are any markings that moved because you lengthened the bodice, now is the time to correct them on the pattern so that they fall in the same place on the altered pattern as they did on the original pattern. 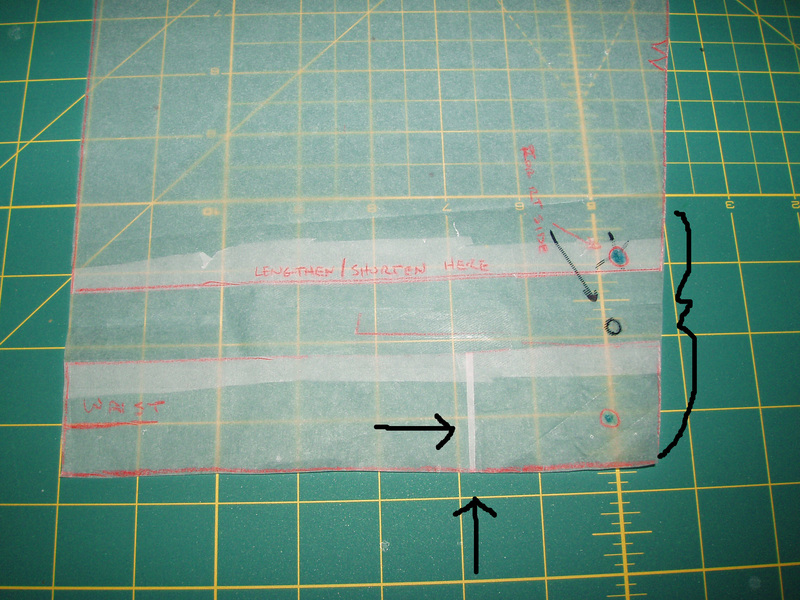 In this pattern’s case, I needed to transfer the markings for the slit opening on one of the side seams. 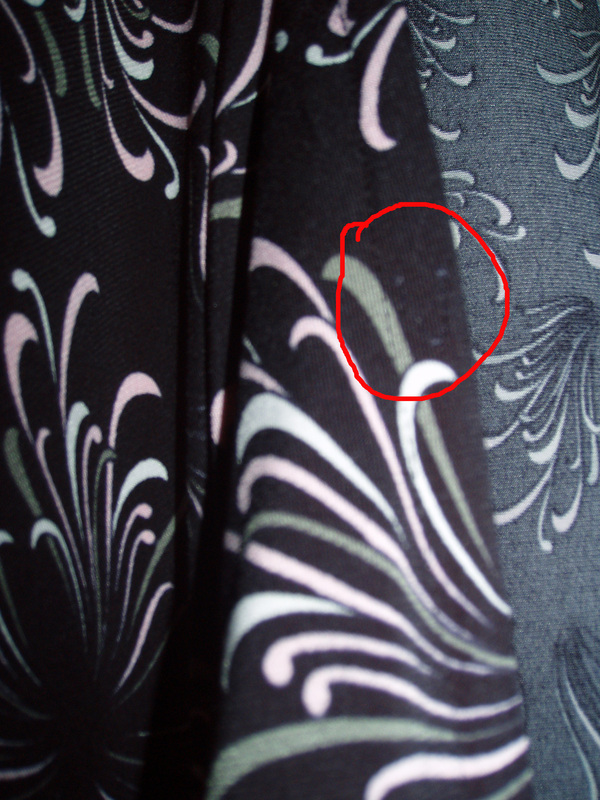 So I measured down and inch and marked it the same distance away from the side seam as the original marking (see pictures above). Are we done now? Surely we are, you think. BUT NO! We are not done yet. 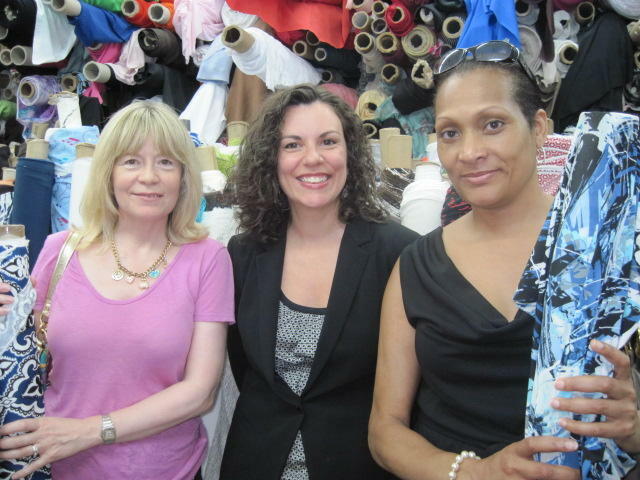 There is more than one bodice piece. 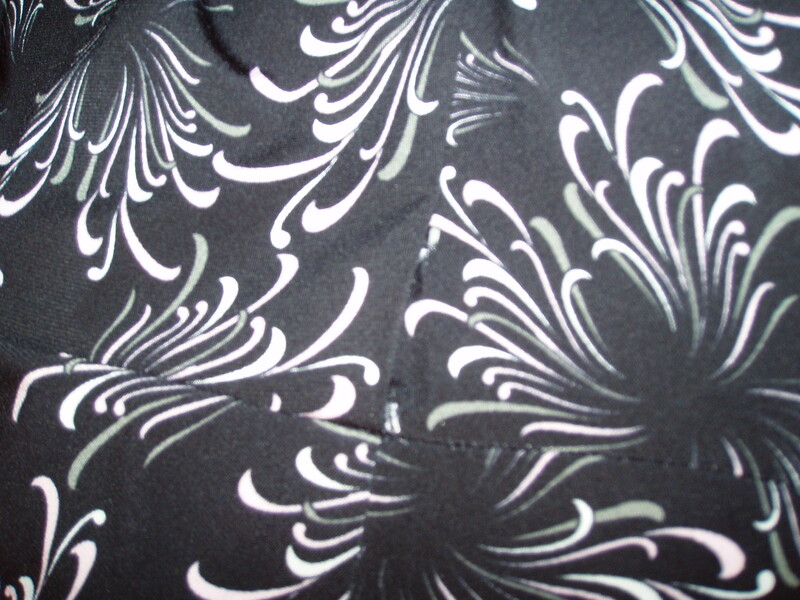 We just corrected the back bodice piece, and now the front must be altered as well. 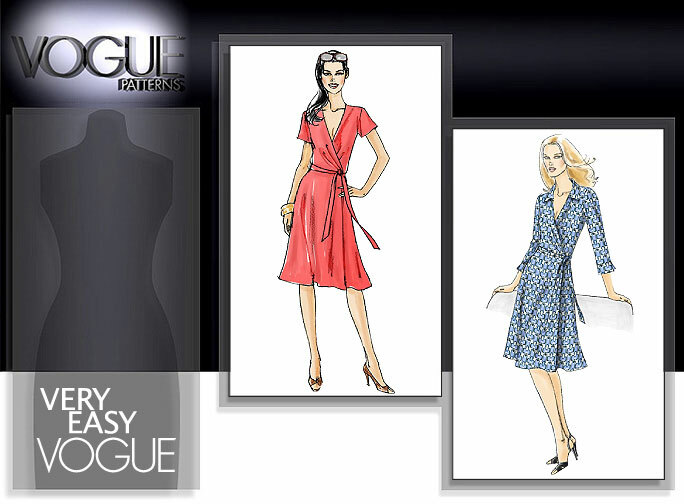 Step 5: Since Vogue 8379 is a wrap dress, the changes to the bodice are treated slightly differently. 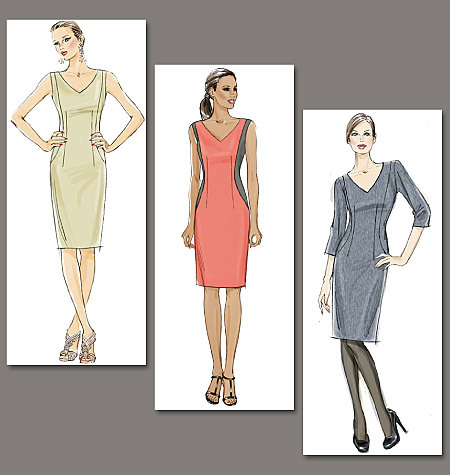 We no longer need to preserve the width of the dress, so blending the neckline to waist is not necessary. 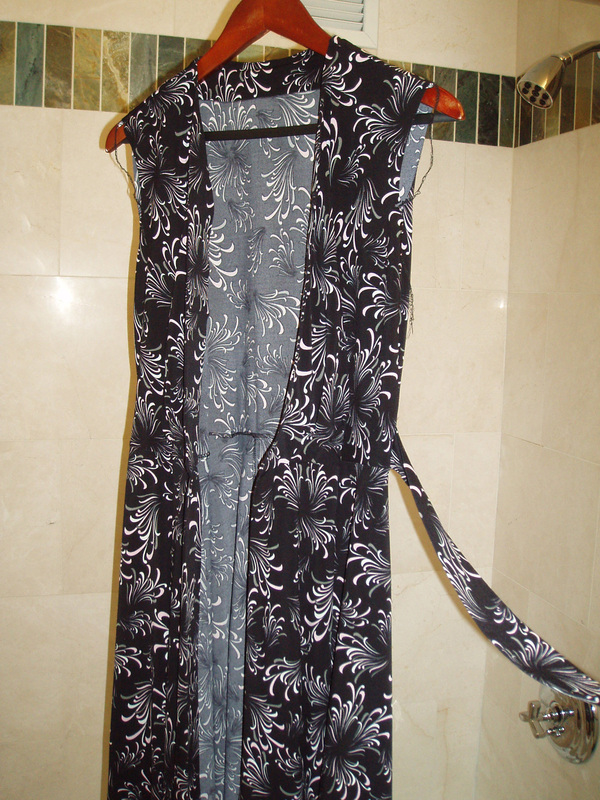 I just added to the width of the waist to maintain the sweep of the neckline/wrap. Step 6: Since I added approximately a 3/4 inch to the front bodice/wrap, I need to add that same amount to the front skirt wrap. You could take it out of the front facing which is 2 inches wide, but that wouldn’t be totally kosher. My teacher Thea pointed out that the facing is 2 inches wide for a reason, to weight the front of the wrap and keep it from flipping outward. Since I am 100% against facing flippage, I heeded her advice and widened the front skirt/wrap by 3/4 an inch, adjusting the facing marking as well. Note the tracing wheel marks where I marked the 2 inch facing correction. 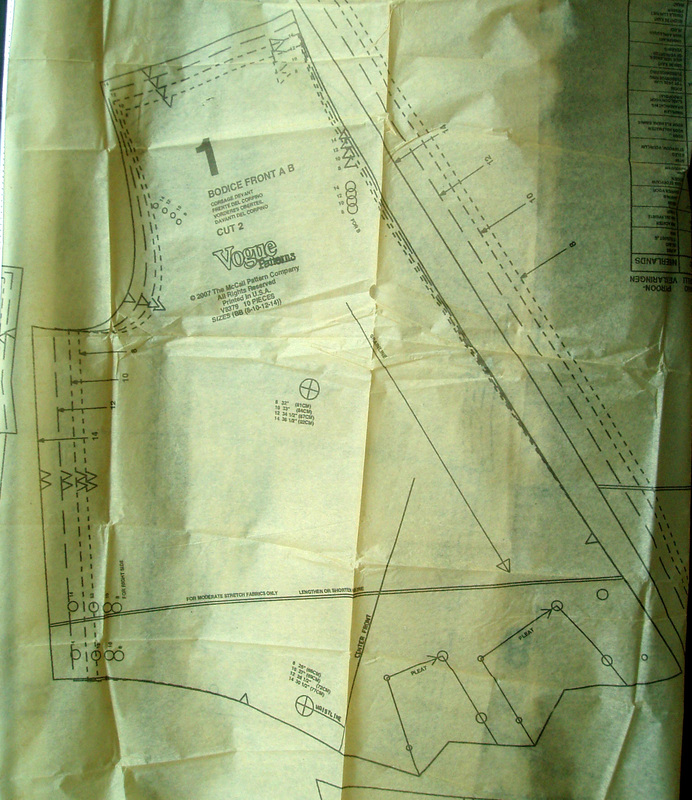 The red line to the left of the tracing wheel marks is the original placement of the facing line. If this dress was not a wrap dress, I would not just add width to the bodice willy nilly. 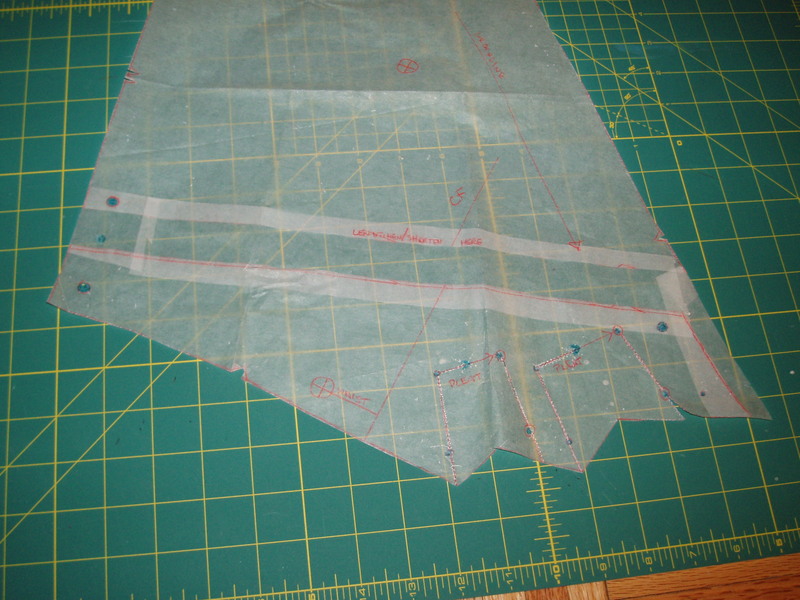 I would need to employ the same method I used on the back bodice of blending from the arm hole down to the waist (or bottom) of the bodice pattern to maintain the original waist length. Most likely the neckline would be unaltered by the bodice length change on a non wrap bodice. And then I would not need to alter the front skirt pattern at all. 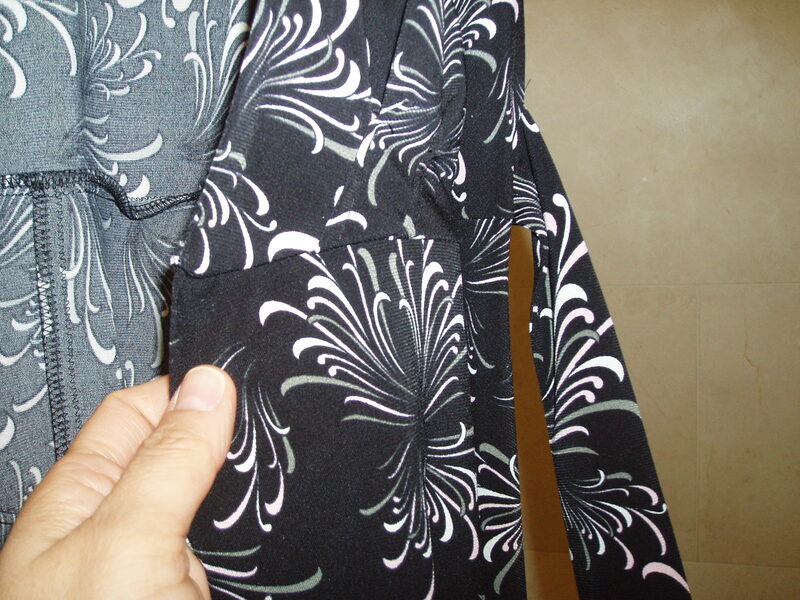 So there you have it (or at least I do since I am the only one needing this tutorial), how to lengthen a bodice. Since this is my first tutorial, if any of the more experienced sewists have differing opinions or flat out think I’m wrong, please speak up. I used to be an opera singer and know how to take constructive criticism (well maybe not on my love life, but for other things, sure!). If any of the beginners have questions, please let me know in the comments. Happy lengthening and sewing to you all! Step 7: Now we must alter the facing to match the lengthened bodice. Cut the facing apart somewhere in the bottom third of the pattern. 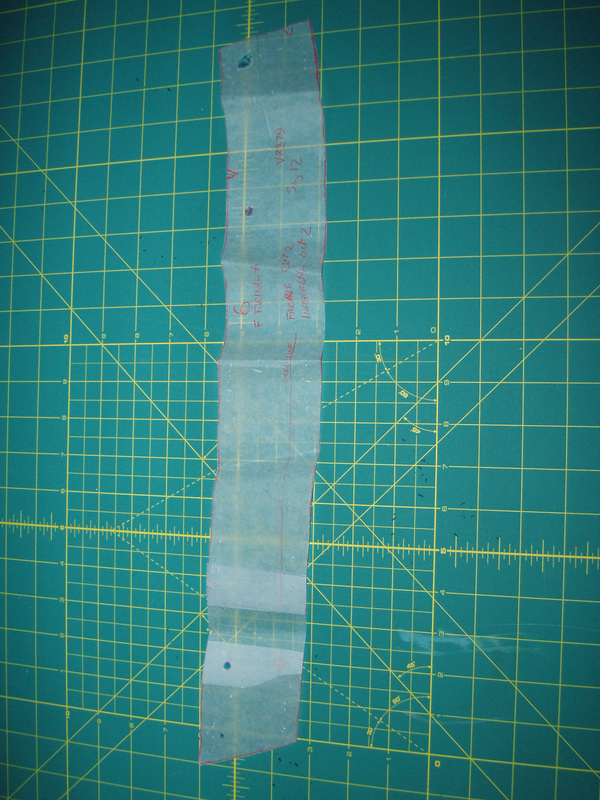 Add the additional length you’re adding to the bodice, in this case, it’s 1 inch and tape it all together. If there are any markings that need transferring lower to match the original pattern, mark the altered pattern appropriately. Et voilá! You are done lengthening your bodice! Phew! So I didn’t make it to finish line last night. I was able to correct my massively idiotic error of attaching the ties to the side seams rather than the front edges of the bodice wraps. I set in my sleeves very successfully (but I have more detail on that in the pattern review post later). BUT, I was too tired to push ahead and hem the dress. I hope to finish it tonight and take some pictures this weekend. I will write up the review this weekend as well. 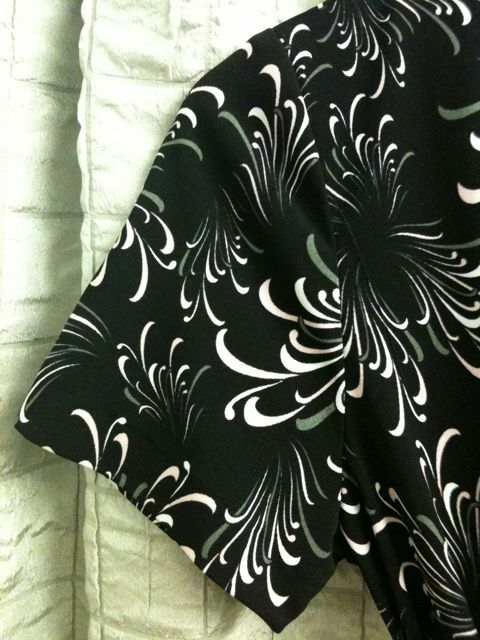 Here’s a sneak peek at the dress in it’s almost completed state, but just a peek of my perfect sleeve. I am emphasizing the perfection of the sleeves because they are the only thing about this dress that went smoothly. I will give you a little taste of my review ahead of time though just to keep you wanting more: Vogue 8379 will NOT be a TNT pattern for me going forward. I am going to look at different options. 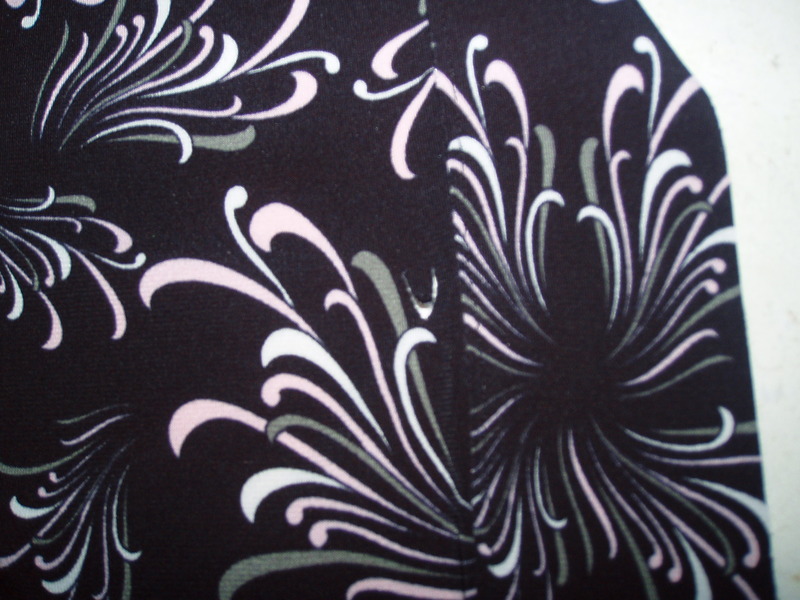 Robin suggested Kwik Sew 3408. 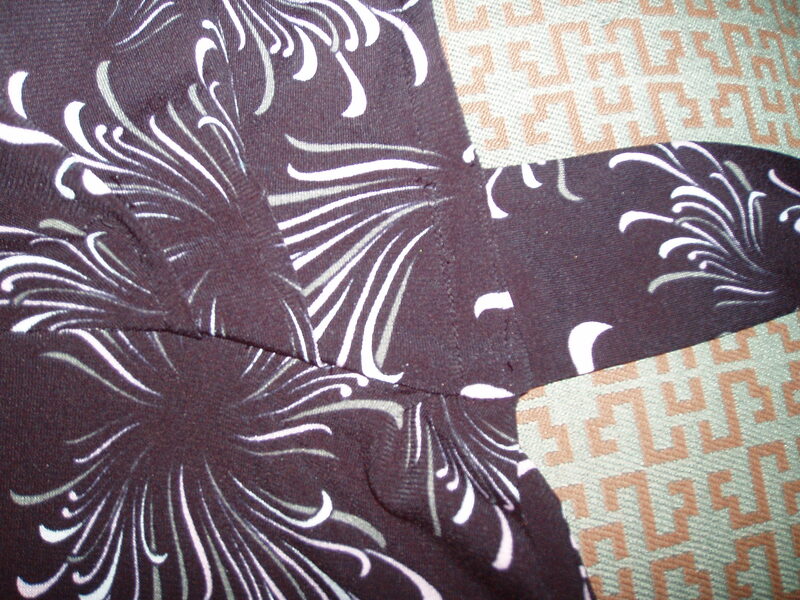 Check out her post and her review for her comparison of the two patterns. Sounds like a winner to me. May your sewing be free of idiotic mistakes.